Over the past week we’ve had the Budget and the Industrial Strategy released. The Budget is a financial plan of the Government’s outgoings and incomings. The Industrial Strategy is an attempt by the Government to apply a coherent and consistent set of policies that are designed to improve the performance of the economy. Both of these have important implications for entrepreneurs.Overall, the incumbent Government has demonstrated they’re open for business; keen to invest in technical education; provide the British workforce with the correct skills; investing in the infrastructure of the country, not just London; encouraging of investment into the country and want to encourage businesses to invest in themselves. The Budget or ‘red book’ as people in government call it, is about 100 pages long and the Industrial Strategy is 250 pages. So we’ve cherry picked the policies we think will have the biggest impact on women like you, setting up a business. Doubling the annual allowance for people investing in knowledge-intensive companies through the Enterprise Investment Scheme (EIS) and the annual investment those companies can receive through EIS and the Venture Capital Trust scheme, and introducing a new test to reduce the scope for and redirect low-risk investment. The Pensions Regulator will clarify guidance on investments with long-term investment horizons. With over £2 trillion in UK pension funds, small changes in investment have the potential to transform the supply of capital to innovative firms. Changing the qualifying rules in Entrepreneurs’ Relief to remove the disincentive to accept external investment and consulting on the detailed implementation of that change. Launching a National Security Strategic Investment Fund to invest in advanced technologies to contribute to the national security mission. The British Business Bank will also support developing clusters of business angels outside London through a new commercial investment programme. The government will support businesses to get the finance they need by extending the British Business Bank’s Enterprise Finance Guarantee to March 2022 and expanding the programme to support up to £500 million of loans per annum. VAT registration threshold will be maintained at the current level of £85,000 for two years from April 2018. £600 to schools and colleges for every extra pupil who decides to take Maths or Further Maths A levels or Core Maths. £27m to expand the successful Teaching for Mastery maths programme into a further 3,000 schools. £84m to fund 8,000 computer science teachers by the end of this Parliament. Backing innovators and investing in R&D (Research and Development). The Budget invests a further £2.3 billion in R&D in 2021-22, and increases the R&D expenditure credit to 12%, demonstrating clear progress towards the government’s ambition to raise the level of investment in R&D in the economy to 2.4% of GDP. This means that, based on current forecasts, total support for R&D will increase by a third by 2021-22. The government will create a new Centre for Data Ethics and Innovation to enable and ensure safe, ethical and ground-breaking innovation in AI and data-driven technologies. This world-first advisory body will work with government, regulators and industry to lay the foundations for AI adoption, which estimates suggest could benefit households across the UK by up to £2,300 per year by 2030, and increase GDP by 10%. The government will invest over £75 million to take forward key recommendations of the independent review on AI, including exploratory work to facilitate data access through ‘data trusts’. The government will create new AI fellowships, and initially fund 450 PhD researchers, to secure the UK’s leading position in the global AI market. Regulators’ Pioneer Fund – To help unlock the potential of emerging technologies, the government will establish a new £10 million Regulators’ Pioneer Fund. This will help regulators to develop innovative approaches aimed at getting new products and services to market. Tech Nation – To secure the UK’s world-leading position in digital innovation, the government will invest £21 million over the next 4 years to expand Tech City UK’s reach – to become ‘Tech Nation’ – and support regional tech companies and start-ups to fulfil their potential. Tech Nation will roll out a dedicated sector programme for leading UK tech specialisms, including AI and FinTech. Regional hubs will be located in: Cambridge, Bristol and Bath, Manchester, Newcastle, Leeds and Sheffield, Reading, Birmingham, Edinburgh and Glasgow, Belfast, and Cardiff. The government will provide a further £1 million to extend the UK Games Fund until 2020, aiding access to finance and business support for early stage video game developers. Geospatial data – The UK has some of the best geospatial data in the world, and much of it is held by public bodies. The potential economic value of this data is huge. To maximise the growth of the digital economy and consolidate the UK’s position as the best place to start and grow a digital business, the government will establish a new Geospatial Commission to provide strategic oversight to the various public bodies who hold this data. To further boost the digital economy, the government will work with the Ordnance Survey (OS) and the new Commission, by May 2018, to establish how to open up freely the OS MasterMap data to UK-based small businesses in particular, under an Open Government Licence or through an alternative mechanism, while maintaining the OS’s strategic strengths. The Budget provides £40 million a year over the next two years to support this work. To support its ambitions on innovation and R&D, the government is encouraging the best and the brightest international scientific and research talent to work in the UK. The government will: change immigration rules to enable world-leading scientists and researchers endorsed under the Tier 1 (Exceptional Talent) route to apply for settlement 47 after three years; make it quicker for highly-skilled students to apply to work in the UK after finishing their degrees; and reduce red tape in hiring international researchers and members of established research teams, by relaxing the labour market test and allowing the UK’s research councils and other select organisations to sponsor researchers. This is alongside the expansion of the exceptional talent route, benefiting current and future leaders in the digital technology, science, arts and creative sectors. It’s centred around ‘5 foundations of productivity’: Ideas, People, Infrastructure, Business Environment and Places. The Industrial Strategy was written by the Department of Business, Energy and Industrial Strategy. Ideas: The Government want to make Britain the world’s most innovative economy. 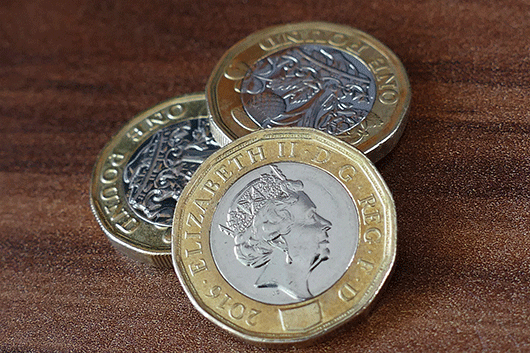 Increase the rate of R&D tax credit to 12 per cent and invest £725m in new Industrial Strategy Challenge Fund programmes – the Fund was created to provide funding and support to UK businesses and researchers. They’re also planning to develop an agile approach to regulation, emulating the approach taken to driverless cars. An Investment Accelerator pilot to bring in seed equity alongside grant funding by matching the most innovative early stage businesses with investors. This will attract and bring forward private capital alongside public funding. Finally they will, improve public procurement as an important source of finance for innovative businesses and increase funding that supports universities and businesses working together to innovate and commercialise research. People: BEIS have planned a vigorous shake up planned for the British workforce. They’ve pledged to establish a technical education system that rivals the best in the world to stand alongside our world-class higher education system; invest an additional £406m in maths, digital and technical education, helping to address the shortage of science, technology, engineering and maths (STEM) skills and create a new National Retraining Scheme that supports people to re-skill, beginning with a £64m investment for digital and construction training. They will also incentivise education institutions to offer maths by providing a £600 premium to existing per pupil funding rates for each additional student who takes maths or further maths at AS/A level or core maths. The government will invest £84m over the next five years to deliver a comprehensive programme to improve the teaching of computing and drive up participation in computer science. Infrastructure: The Government’s infrastructure programme matches the vigour of the employment shake up. They’ve pledged to increase the National Productivity Investment Fund to £31bn, supporting investments in transport, housing and digital infrastructure; support electric vehicles through £400m charging infrastructure investment and an extra £100m to extend the plug-in car grant; boost the digital infrastructure with over £1bn of public investment, including £176m for 5G and £200m for local areas to encourage roll out of full-fibre networks. Business Environment: BEIS want Britain to be back on top when it comes to starting and growing a business. They’re launching and rolling out Sector Deals – partnerships between government and industry aiming to increase sector productivity. The first Sector Deals are in life sciences, construction, artificial intelligence and the automotive sector. They’re also driving over £20bn of investment in innovative and high potential businesses, including through establishing a new £2.5bn Investment Fund, incubated in the British Business Bank. And they’re conducting a review of what actions could be most effective in improving productivity of SMEs, including how to address the ‘long tail’ of less productive businesses. Places: Finally, BEIS wants a fluid Britain. They’ve agreed Local Industrial Strategies that build on local strengths and deliver on economic opportunities; create a new Transforming Cities fund that will provide £1.7bn for intra-city transport. This will fund projects that drive productivity by improving connections within city regions; and provide £42m to pilot a Teacher Development Premium. This will test the impact of a £1000 budget for high-quality professional development for teachers working in areas that have fallen behind.